Lorenzo Cirri’s law firm in Via Guglielmo Marconi 58 in Florence was brought about by Lorenzo himself in 2004 after five years of legal practice with his father. The rooms in the law farm are rented out by Lorenzo to colleagues of complementary competence in such a way to be able to provide the client with a total coverage in various areas of law. The law firm boasts an excellent synergy and harmony amongst colleagues, as between the ten or so lawyers present in the firm the team spirit has become one of strong compliance, animation, and when work allows, irony. The figure of the client plays a central role; he is not made to be kept waiting before being called, nor is he heard behind the constraints of a desk, rather in this law firm the client is placed in a central position amongst discussions. Meeting the clients demands and needs (different in every case ) is considered by the firm to be integral to not only the smooth running of the practice and advocacy of the firm, but also for the implementation of a relationship of trust between client and lawyer. Lorenzo Cirri’s three year training in counselling has thus awarded him larger expertise and competence in this area and also that of empathy – a sentiment particularly necessary in the case of separations, divorces, bankruptcy, financial instability, distribution of assets, and protection/defence of minors. 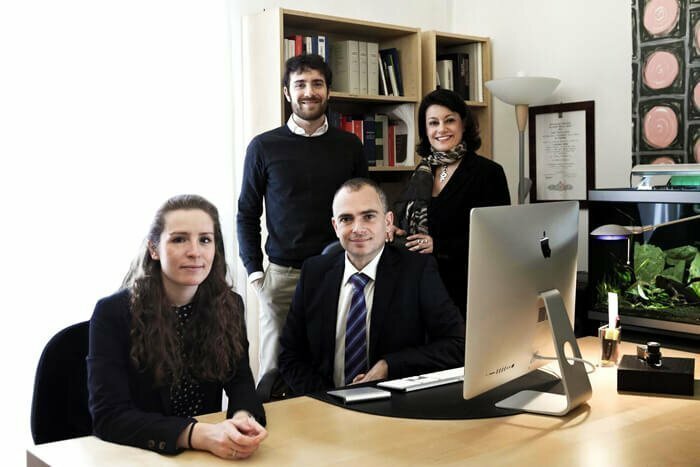 Maximum availability, be it by email or telephone, is one of the main aims of Lorenzo Cirri Law Firm, as well as timing, getting information to clients on the costs of procedures and being of assistance every step of the way.